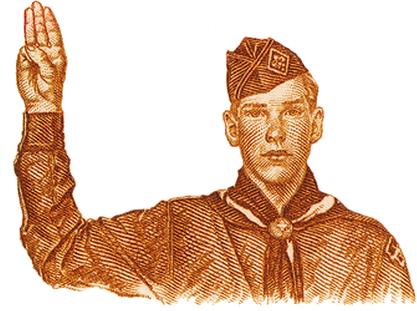 On the second Saturday each May since 1998, all those in the World Scout Movement have been invited to hike together. In their own way, all Scouts – whatever their age, wherever they may be, in whatever way they can – will be hiking the same direction; towards a better future through Scouting. There is no cost to participate in this international event. Commemorative 2019 JOTT patches will be $4 each. Proceeds of the patch sale support the work of the Northeast Georgia Council International Committee. or contact Northeast Georgia Council International Representative Phil Krajec, mrkrajec529@gmail.com. Check the website (http://2019wsj.org) for links to Twitter, Instagram and Facebook. "Unlock a New World" of fun and adventure with the 2019 World Scout Jamboree!